Someone once said you should never talk about religion, money or politics. I suppose the first nitwit to utter this horrible advice wanted to fly below the radar and was horrified at the possibility he might offend someone. I talk about religion, politics and money frequently. But, I have no desire to fly under the radar and I’m comfortable with the fact that you and I might disagree, even though we’re both smart, rational, good and honest people. Whether I’m afraid of offending you or you of me, it won’t help anyone solve any problems in the world until we get comfortable having uncomfortable conversations. 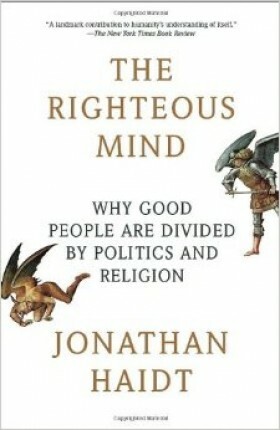 Jonathan Haidt, the Thomas Cooley Professor of Ethical Leadership at New York University’s Stern School of Business has his PhD in psychology from the University of Pennsylvania and has completed extensive postdoctoral research throughout the world. Much of that research is presented in The Righteous Mind. It’s a brilliant work with solid, actionable advice if you read with an open mind. Warning: it’s not for anyone on either side of the liberal-conservative extreme. If you watch Fox News or MSNBC religiously, 24/7 and yell at the TV in agreement with whatever the pundits are telling you, this book is certainly not for you. However, if you want to understand why progressives, conservatives and libertarians feel so strongly about their views and how we might all exchange a little bias and anger for undestanding and cooperation, Haidt’s book will be more than well received in your world. Of particular interest for the busy orthodontic practice owner are chapters 6, 9, and 12. If you find yourself scratching your head when a younger employee of yours behaves in a way that seems foreign to you, this book will help you understand how to disagree more constructively and avoid the ivory towers we all build or claim for ourselves in our opinions and long-held beliefs. This would be a great book to split out a few chapters and review at a team training. Understanding how you will be comfortable having uncomfortable conversations with co-workers is a powerful bonus skill set that comes from understanding the research in Haidt’s book.